The announcement of 16.3 brought another new movement into the fray of the CrossFit Games Open: bar muscle-ups. Week 3 of the Open would be short, technical, and extremely grip intensive. For the elite, it was an opportunity to push the throttle and separate themselves from the rest of the pack. For the rest of us, 16.3 was a chance to test our gymnastics skills while redlining. Many athletes got their first bar muscle-ups during 16.3, and few escaped the seven minutes without “Fran lung” and throbbing forearms. A vastly different test than its predecessors, 16.3 dialed the intensity up a notch as the 2016 Open crossed the halfway mark. Below are my grades for some of the notable 16.3 performances across all divisions. Jamie Greene: Last week on the Update Show we said that 16.3 would be a huge turning point workout for Jamie Greene and boy was it. She completed 147 reps, finished third worldwide in the workout, and moved up into first place overall after three workouts. 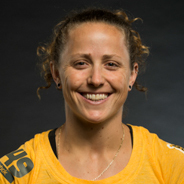 She is the only woman without a CrossFIt Games appearance in the top 12. The one caveat to her remarkable Open is that there is a possibility she could forego individual competition to compete for her affiliate, CrossFit Yas. Check back for updates. Kyle Frankenfeld: Winner of Sean Woodland’s prestigious “Who the heck is that guy?” award after three Open performances that have landed him in first place overall heading into 16.4. Frankenfeld finished 16.3 in first place, ahead of every Games athlete currently chasing him. Although I admit that he hasn’t received tons of coverage the past two weeks, he has now made it impossible to ignore him. He’s the only male athlete to finish every Open workout in the top 20 worldwide thus far. Samantha Briggs: Briggs has now won seven Open workouts worldwide. That puts her in the all-time lead ahead of second place Josh Bridges, who has six wins. It also highlights another important statistic: the record stands 13-12-1 in favor of the Women when you compare the top Men and top Women’s Open workout scores across all five years of the Open (15.1a counts as a tie because #GoHeavy). In a sport rooted in gender equality it’s great to see this level of parity amongst the elite on both sides. Allison Weiss: The teenage athlete took third in the 16-17 Teenage Girls Division at the 2015 Games, and is the highest finishing athlete returning to compete in that division in 2016. She completed 114 reps in 16.3, good enough for first worldwide in her division (309th among adult women). The performance moved her squarely into second place behind Sydney Sullivan, the champion of the 14-15 Division at the 2015 Games. Sarah Scholl: Three weeks down, and Sarah Scholl is having a career year so far in the Open. Currently 15th place worldwide, Scholl took 36th in 16.3, and is tied with 2015 Games champ Katrin Davidsdottir for first place in the North East. This would be an A+, but Scholl needs to prove herself as more than just an Open athlete. After placing seventh in the North East in the 2015 Open, Scholl struggled at the 2015 East Regional, taking 36th place. Her scores so far show she’s a much improved athlete in 2016. Brian Palmer: Palmer deserves recognition for what I’m calling the “Badass Tweet of the Week,” after he lamented on Twitter about bar muscle-ups being scaled out of the Masters 55-59 movements. 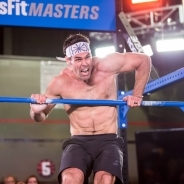 Palmer currently isn’t in contention for a spot in the Masters Qualifier, so his CrossFit Games muscle-up may have to wait until next year. Being 59 years young and having a muscle-up in your back pocket is a nice consolation though. 16.3 Memes: Every once in awhile the “Interwebs” use their powers for good. The good often comes in the form of some hilarious memes from the CrossFit community poking fun at ourselves. The announcement of 16.3 set the stage for some comedy gold in the form of memes involving Macho Man Randy Savage, Zach Galifianakis, and an aptly sampled R. Kelly song. 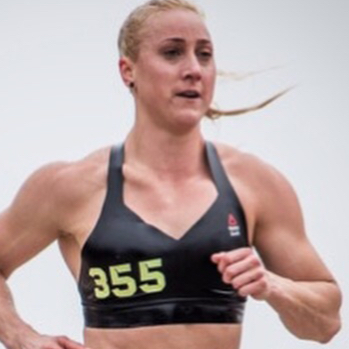 Michelle Kinney: A four-time Games athlete and the 12th fittest woman from 2014 is back from taking a year off due to a torn labrum in her hip. I am a HUGE Kinney fan and am stoked to see her back, but a 46th-place finish in the South West in 16.3 has dropped her to 23rd place in the region and out of a guaranteed invite spot to regionals. She’s 24 placement points away from 20th place. She has two weeks to right the ship and guarantee herself a chance at a fifth Games appearance. Rory McKernan: Excuse me while I switch to a direct approach memo. Ro, you get a D, that’s right, a D. Despite a valiant effort in 16.3, you are now 0-3 against Adrian Bozman this year. Boz has officially won 2016, moving the overall yearly record to 3-3. Tanking the last two workouts is not an option. As a proud Texan, you need to pick yourself up by the bootstraps, and build some momentum for 2017. Boz sweeping you cannot happen. IT WILL NOT HAPPEN!